With only ten days until Christmas, I thought it would be timely to post a Christmas cookie recipe. This recipe is a by-product of my love affair with what would have to be one of my favorite and most used spices, cinnamon. I wanted to make a cookie (or “biscuit” as we call them here in Australia – though at Christmas time for some reason I just feel ‘cookie” sounds more appropriate) that really symbolised Christmas, and for me that would have to be shortbread. I have fond memories of not only baking shortbread at home when I was younger, but we also used to give my Nan a tin of bought shortbread which we would then all go on to eat ourselves – poor Nan! I have been working on making a gluten free version of shortbread and though they are not exactly the same as traditional shortbread made with plain flour they are a pretty damn good alternative. The plain flour has been swapped out with a mix of sorghum flour, potato starch and coconut flour, which not only eliminates gluten from the recipe, it also increased the nutritional portfolio. I also had luck using a combination of brown rice flour, buckwheat and coconut, though that combination lends to a slightly drier and crumblier cookie. 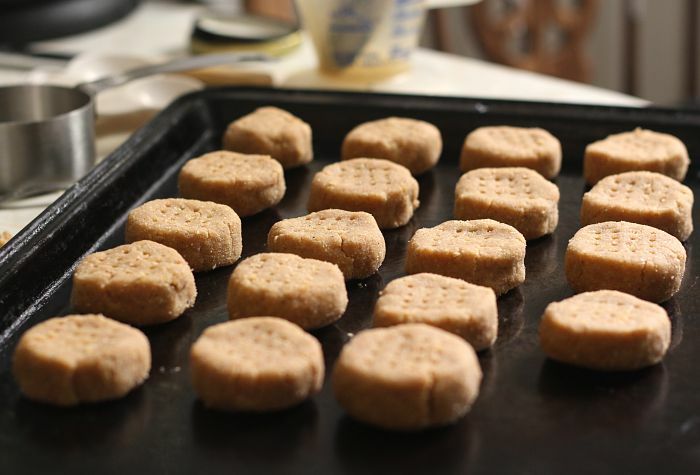 The cookies will be quite crumbly anyway – as is traditional shortbread. 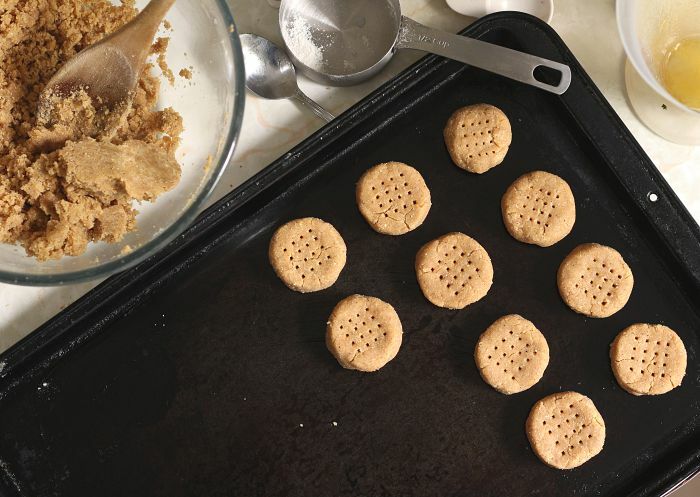 I have reduced the sugar slightly as well, and used a less refined sweetener in coconut sugar, however I have kept the fat content pretty much the same – after all it’s the buttery-ness of the shortbread that I feel gives the cookies their distinctly delicious flavour. As shortbread is traditionally made with icing and/or caster sugar, I blitzed the coconut sugar in my Vitamix to make it more powder. This could easily be done in a food processor instead, or alternatively you could always use the coconut sugar as is. 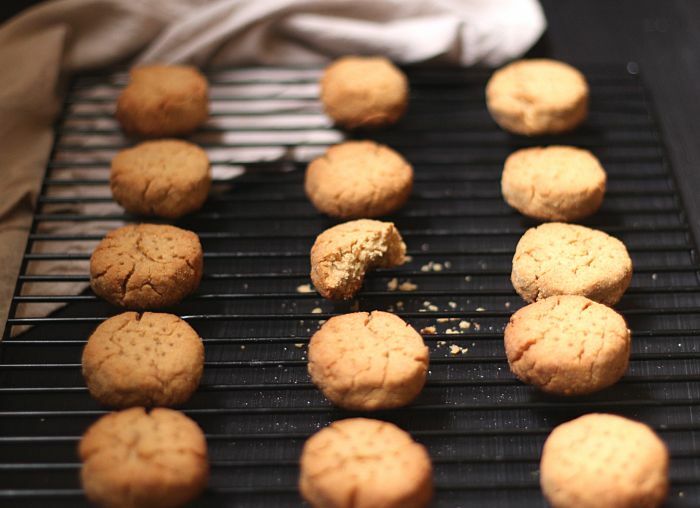 These cookies and smooth yet slightly crumbly with that unmistakable buttery flavour. They also have a more developed, almost caramel-y sweetness to them from the coconut sugar, beautifully accented by the cinnamon. These cookies are perfect plain and dunked into a hot cup of tea, but I imagine they’d also be a great base if you felt like jazzing them up a little – some ground cloves and orange rind would work well, or for something a little different, a small amount of finely chopped rosemary or lavender would work great here too. Add the coconut sugar to a high-powdered blender or food processor and mix 20 sec on high to powder it. 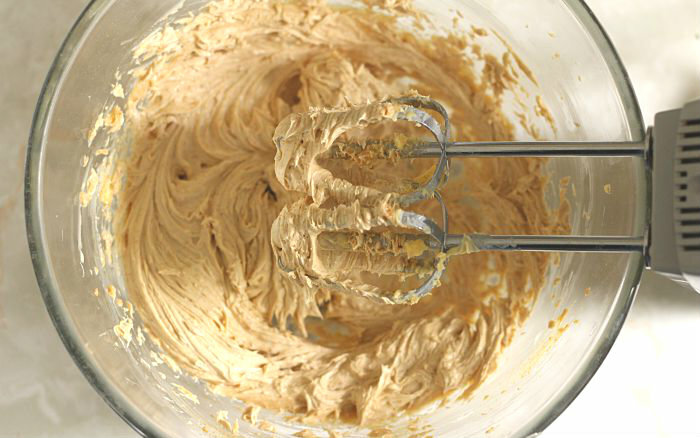 Cream the softened butter, powdered sugar and vanilla with an electric mixer for a few minutes until creamy. Stir through flours and spices. Note that the mixture will be quite crumbly, however it should still stick and hold together when pressed between two fingers. Shape into little flat discs and use a fork to press holes into the top. Place on a lined baking sheet. Bake 25 - 30 minutes or until lightly browned on the bottom of the cookies. 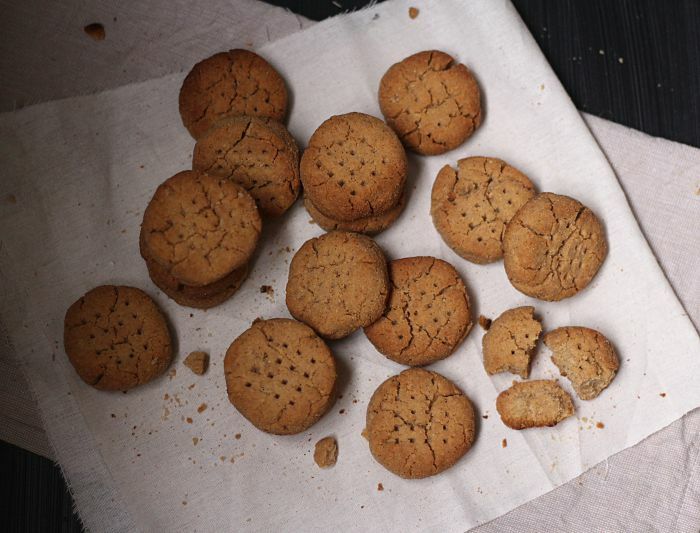 These look like the perfect bisquit to me (I love how you call it bisquit – for some reason I like that word better, dunno why :) ) They look so crumbly. 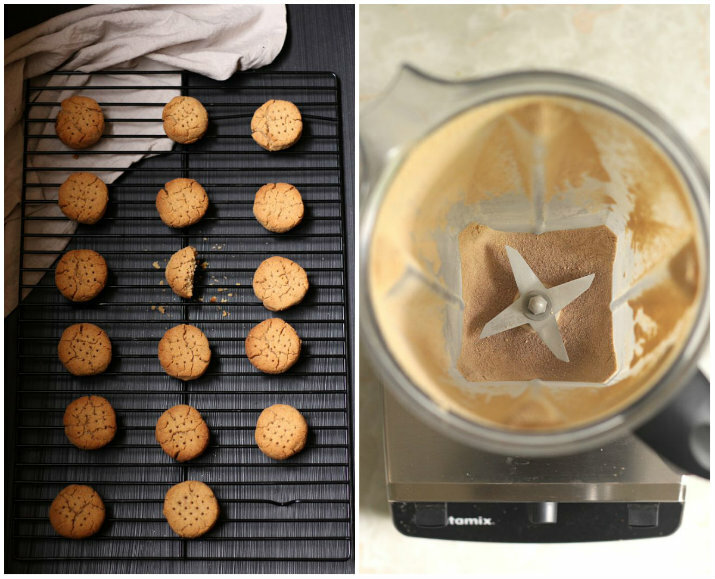 I really love shortbread, but I’ve struggled finding a healthier and more whole version of it. So I’m totally digging this one. But if I wanted to sub out sorghum flour do you think brown rice flour would be the best option? Happy holidays to you Dearna! Lovely biscuits, just wondering can these be made with tapioca flour instead? Thanks Charlene. I haven’t tried them with tapioca so I cant say for sure sorry. If you try them with tapicoa, you’ll have to let me know what they turned out like!